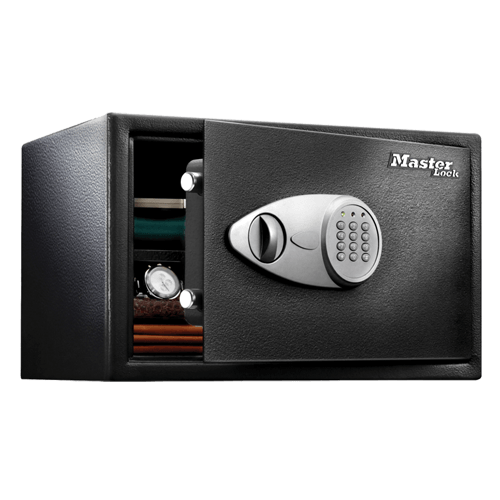 X125ML Digital Security Safe is rated 4.8 out of 5 by 5. 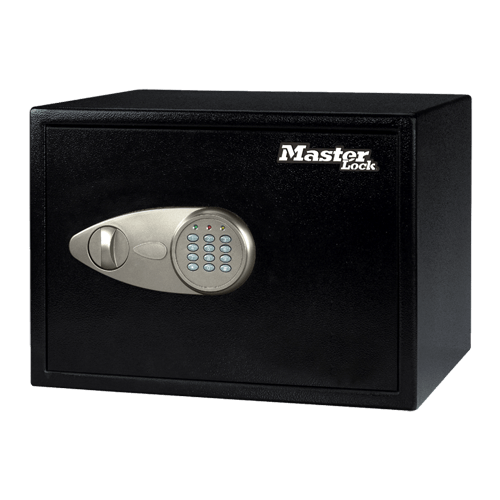 The Master Lock Digital Security Safe X125ML is built with solid steel construction and two live-locking bolts to keep your precious valuables and electronics protected from theft. This safe includes power cord access to keep your laptop and other devices secure even while they are plugged in. Complete with a removable shelf for organization, the X125ML is ideal for safe storage of your irreplaceable items. Rated 5 out of 5 by BlueLadyAl from Strong and perfect size/fit for my purpose. It's perfect for me; and i love having a backup master key in case i forget the digital code! Rated 5 out of 5 by Mgcota from Perfect and easy to use Arrived quickly. It was bigger than i thought which was perfect. Easy to use. I love it. Rated 5 out of 5 by Ken 2000 from Secure and light weight This safe is the perfect size for my use. Very secure. Easy to use.